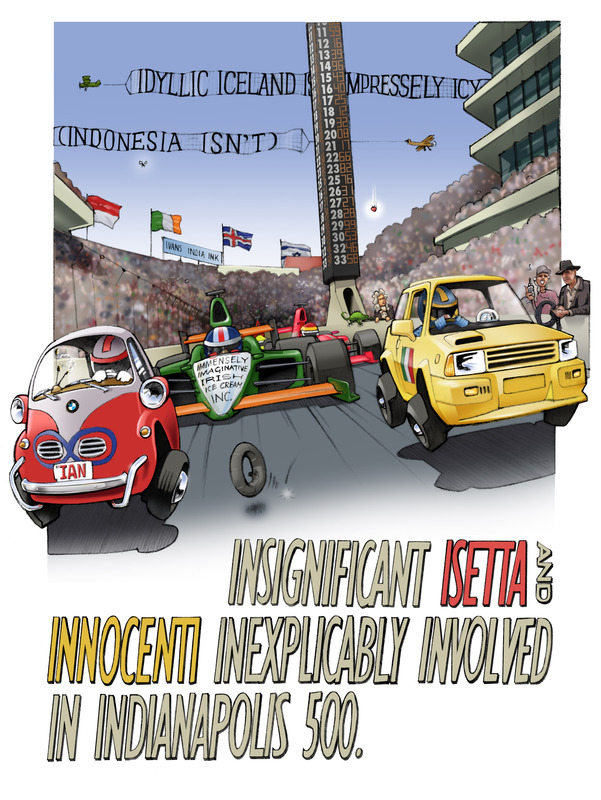 This entry was posted in Classic Cars, Uncategorized and tagged Indy 500, Innocenti, Isetta. Bookmark the permalink. I want to buy this book! You should definitely finish it!